28 pupils are eligible for Year 7 Catch-Up Grant this academic year. 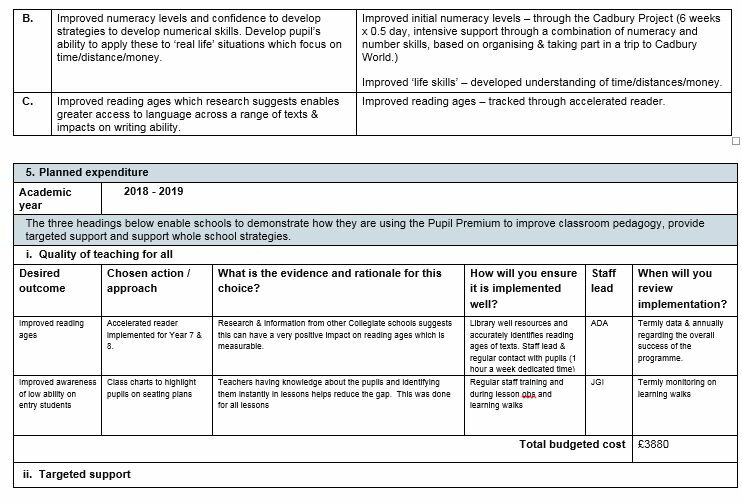 The literacy and numeracy catch-up premium gives schools additional funding to support year 7 pupils who did not achieve at least level 4 in reading and/or maths at the end of key stage 2 (KS2). The DfE has made available additional funds for improving the attainment of our disadvantaged pupils, known as the Year 7 Catch-Up Premium. The funds are primarily aimed at improving maths and English levels at Key Stage 2. An allocation is made for every pupil who has not achieved a Level 4 in reading and/or writing at Key Stage 2 as per the October school census. 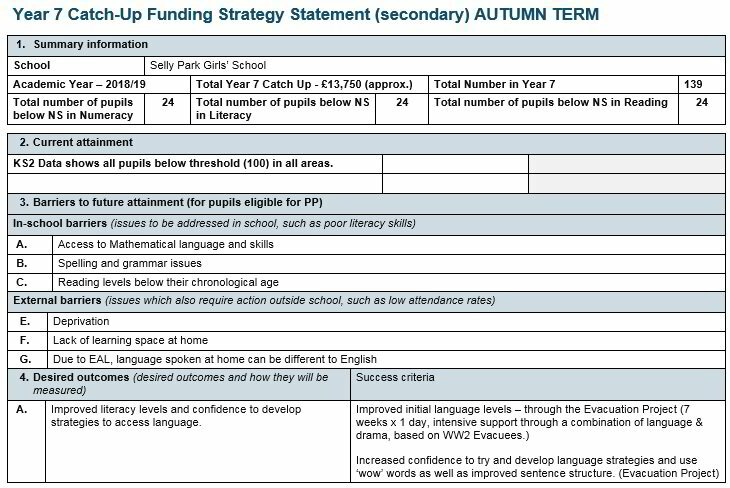 All of our year 7 pupils qualify for this funding and as a school we have decided to use the funding to support teaching and learning approaches that we know are effective.